Hoping to empower cities to take a more active approach in helping homeless residents with severe mental illness and substance abuse issues, the state Legislature approved a bill that would allow three counties to expand conservatorship. Judges in San Francisco, San Diego and Los Angeles counties would be given new power to compel certain homeless residents into the care of the county. SB 1045 passed the Senate unanimously on Thursday and now heads to Gov. Jerry Brown. The bill was strongly supported by San Francisco Mayor London Breed, who says it will provide an important tool to get help for those who are a risk to themselves and others. 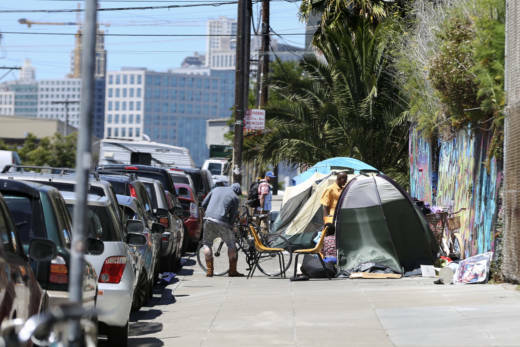 “These are the real extreme situations that we see: someone who is sleeping in his or her feces, someone who is running out in the middle of the street yelling at cars,” said bill author Scott Wiener (D-San Francisco). “People who are not able to make decisions for themselves." Judges can currently place individuals in conservatorship if they are unable to provide themselves food or shelter. SB 1045 would add the criteria of temporary psychiatric holds: eight ‘5150’ detentions in a year would be grounds for conservatorship. Civil rights groups, including the American Civil Liberties Union opposed the bill, arguing that it goes too far in stripping individual rights of conservatees. But Sen. Wiener said the bill provides plenty of safeguards against abuse, including a lengthy legal process.